My girlfriend is creating an educational video game for her master's thesis. She's studying French and history. This particular video game that she's designing with a friend has to do with learning how to speak/write French. It's an RPG. I figured I'd help her out by asking here in a very general sense what educational games you grew up with and what you remember about them that you liked - every little detail you can recall that you enjoyed. Basically, "What makes a great educational game?" Right now she is researching these questions and writing about them for a paper. Ultimately, she will present her game as part of the thesis, but she won't have to present the FULL game - because that will take up a lot of time. Right now she's focusing on a particular mini-game that's a part of the game. In the mini-game, your character is on a boat in the ocean and an octopus is trying to eat you by lashing out its tentacles. The ocean has a battleship-like grid with French verbs and adjectives, and you have to conjugate them to avoid the octopuses' tentacles. When you conjugate the words, you find a treat and throw it at the octopus to feed it. EDIT: On the other hand too - were there any educational games that you loathed? I didn't play many educational games but I do remember the ones that I did. This series, in particular, I played through a few times. I think what I liked most about them was just the fact that I could still get away with, "playing a game," even if that meant I had to do a bit of math or science to get the right answer. I think engagement is the name of the game with kids these days. We live in a world of distractions. These games had a very multifaceted approach to learning. Different scenarios yield different problems but they are all relevant to the plot of the game. If you're mixing a potion together then you're doing fractions and volume. If you're trying to remove the vines from a door so you can advance to the next room there's science trivia about plants. Basically, you couldn't advance to the next set of questions until you figured everything out. Kind of a Dora the Explorer way of moving the plot along only there are way more than three stops until you reach the end. Video games release those pleasure endorphins when you conquer any challenge a game provides. This can act like a "reward" if you apply it to a learning game. Doing a worksheet in school doesn't offer any reward for completing it other than you are done with this and now you can do something else. The engagement in the exercise may not necessarily be there either. If the engagement in the worksheet and general interest in the material isn't there when it's being completed, it most definitely won't be there afterward. I think what makes an educational game great is engagement, diversity in the material presented, real-world scenarios to which they can be compared with in order to be relatable and memorable enough to be retained. This is my honorable mention. Just loved everything about these games. I guess introducing new cultures and periods of time in a game was WAY more interesting than reading about it. Hands down a great game for kids to teach them about history and keep them engaged. This entire post is about educating children not adults but I think engaging adults is just as difficult so hopefully, this was a little helpful. Depends on what you call educational. I liked all the Koei games because I could learn about history, but I never felt hit over the head with the point that they were there to teach me something. I was just there to win a war and happened to learn historical facts as I progressed. I didn't have a PC until the mid-90s, which is more where the edutainment niche was based. We had them in school, but barely. 'Museum Madness' was my big educational game jam. It taught me a couple trivia things about history and biology, but what it really taught me was how to do slider puzzles. 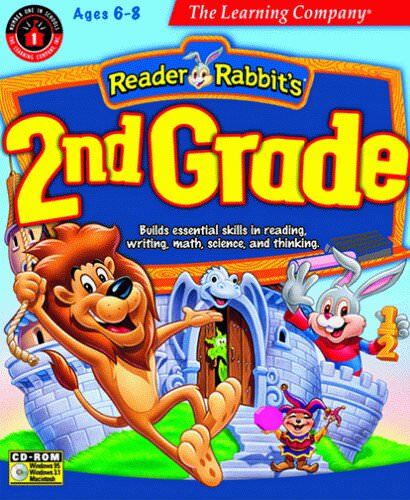 I had a Reader Rabbit game when I was super little, and I also played a lot of Math Blaster. Also tons of Oregon Trail but did any kids actually pay any attention to any possible history lessons in that game? Brain Age also came out when I was like 11, and I played a ton of that on a very regular basis for about a year. I never owned Math Blaster, but I played a ton of it at the local library. That game is actually pretty interesting from a mechanical standpoint. Played a lot of Math Blaster, Number Munchers, and The Oregon Trail on the school computers. 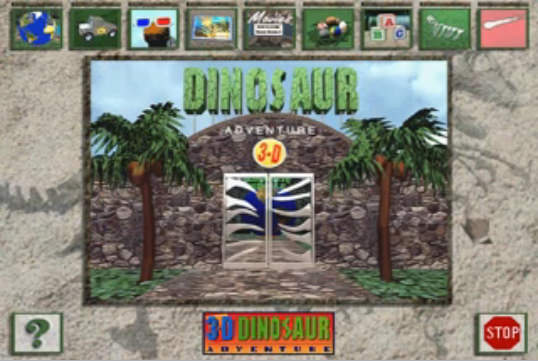 But the biggest edutainment game of my childhood was 3D Dinosaur Adventure by Knowledge Adventure. The minigames included are fairly shallow but still fun if you're 5 years old. I remember spending most of my time in the game's virtual encyclopedia, which included over a hundred articles on different species and prehistory-related topics, along with beautiful artwork by paleoartists like John Sibbick and Gregory Paul. This game helped inspire a lifelong passion for paleontology in me. Was The Oregon Trail considered an educational game? I thought they just kept it on there for fun. Only thing 'Oregon Trail' ever taught me was that failure and death are inevitable. We are born astride the grave, and all it takes is a capsized wagon or a bout of cholera to nudge us in. Maybe if 'Oregon Trail' had had slider puzzles instead of that garbagey hunting minigame, people would actually be good at slider puzzles. Some versions are more informative than others. I owned 5th Edition and learned a lot of from it. Almost every single Sim. Sans a few like SimHealthcare or SimTunes. Sim City, Sim Town, Sim Park, Sim Theme park, Sim Tower, Sim Copter, STreets of Sim City, The Sims, Sim Earth.... Yeah, we did play the games as intended, but we would also do some cruel things. ie, I loved destroying cities with disasters then reloading so I can do it again. Or putting signs up that says stupid things in SimCity 2000. Or putting loads of salt on the fries, lots of icei n the drinks, then charge to use the bathrooms in SimTheme Park. My sister was the sadistic one in SimPark - she had a theme park that said, "Die little children, die die" where she put all the people stuff on an island full of flammable plants and lit fires. Much like Steeve, of course we played ClueFinders and Where in Time is Carmen Sandiego. They were every bit as good as Myst or some other point and click games. Adding onto this were the JumpStart games. Much longer to "Beat", at least when they added a more "adventures" approach. Could sink loads of hours into those. In fact, I remember in the third grade game, there was an art minigame in which you had to use stickers to make a picture. However, I did not recognise this - so I got the background of the "house" and doodled a stick figure, but the game kept saying "Okay... so where's the boy?". So I circled him, drew a lot of arrows, even wrote" LOOK HERE MORON" before I realised I had to use the stickers. Oops. Then I laughed because it was ridiculous looking. 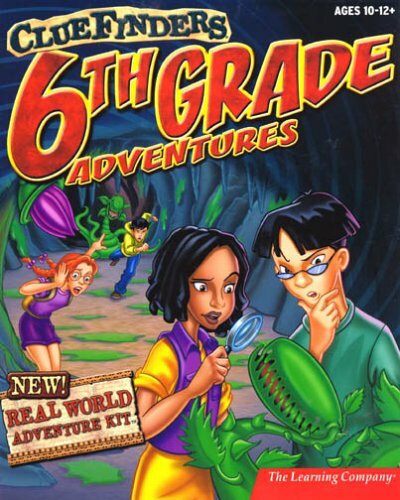 I had the 4th grade adventures game - the one that was more of a Survival Horror-type game. Also the 5th and 6th grade, but I played the hell out of 3rd, 4th, and 5th. 6th grade... not as much. We had a lot of Learning Company games, as well as a few Math Blasters. And of course.... Where is Carmen Sandiego. Also wow, totally forgot about the American Girls Premiere games. Holy crap. 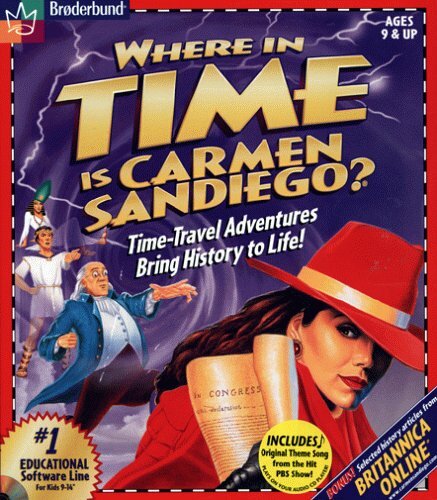 uggh I have GOT to figure out how to make Where in Time Is Carmen Sandiego? work on modern OSes. I physically need this! While Opening Night was mostly used as a tool to create "Stupid" plays with the occasional drama that we did take seriously (ie, one of the girls has a family of ghosts that keep trying to get her to join them, only for it to be revealed she was suffering from a fever. Very Twilight Zone-y) American Girls Premire was mostly done seriously. That didn't stop us from doing things intended to be funny. ie, Molly holds the "Fastest Falling contest". JumpStart and Cluefinders featured a bit, but it was mostly Treasure Math Storm and later Globetrotter 2, which is probably responsible (in combination with a map of the world placemat) for my geography obsession. Ah I remember those Super Solver games. I remember the library had some and I'd play them. One of them, Spellbound, was all about spelling, and you could make your own custom spelling list. I wondered why one of the lists some cheeky kid made one that included a bunch of swear words, but also a few weirdly spelled ones like "Impp", "Imapos", "Urapos", "Urpp", and "fuunu". But then when I got to the spelling bee part it made total sense - because the voice actors would read every letter one by one. "Please spell the following flashed word: Urapos"
"That's right! Contestant number two. Please spell the following flashed word: Fuunu"
Would 'I Have No Mouth and I Must Scream' be considered an educational game? I mean, I don't know about anyone else, but I sure learned a thing or two from it. These two are what come to mind. 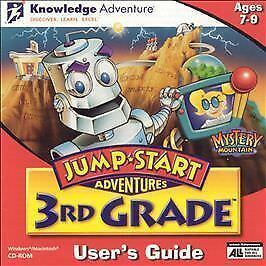 The cover for JumpStart Third Grade is different than I remember it being.